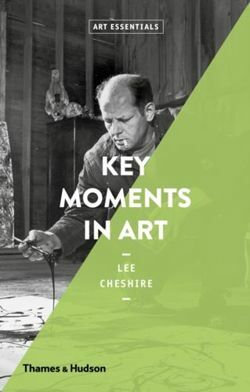 Key Moments in Art describes fifty pivotal moments - some famous, others unfamiliar - from the Renaissance to the present day. Vivid, colourful vignettes capture the excitement of their times: when Michelangelo's David or Marcel Duchamp's Fountain were unveiled for the first time; when chance meetings have spurred artists to create compelling new styles, such as Impressionism or Pop Art; or when exhibitions have caused a public sensation. Lee Cheshire's storytelling approach is both entertaining and easy to remember. He celebrates artistic ingenuity and collaboration, but does not shy away from the arguments, fights and lawsuits that have dogged art's often-tur.